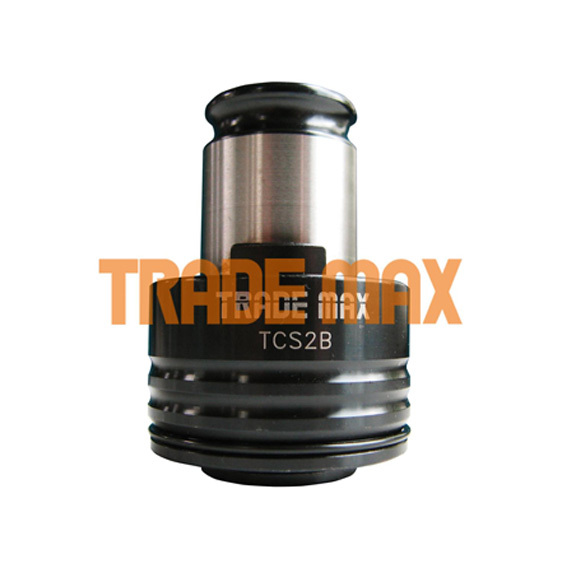 TradeMax TCS2B adaptor is the chuck used to attach a machine spiral flute tap to your TradeMax tapping machine and comes with a safety clutch allowing you to use taps M6-M30. An adaptor is required for each size of spiral flute tap that you use for tapping blind holes. It is important to use only spiral flute taps in the TradeMax tapping machine. Straight flute taps are for hand tapping only. Spiral flute taps are used for power tapping. 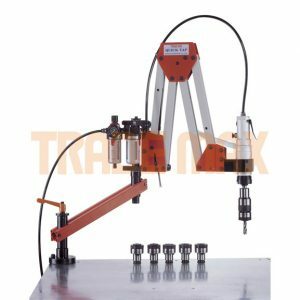 Tapping using a TradeMax tapping machine is power tapping. The TCS2B Adaptor with Safety Clutch is the chuck that is used to attach your machine spiral flute tap to your TradeMax tapping machine. The TCS2B Adaptor includes a safety clutch. The safety clutch is essentially an adjustable torque clutch that can match the tapping depth to the material you are tapping. 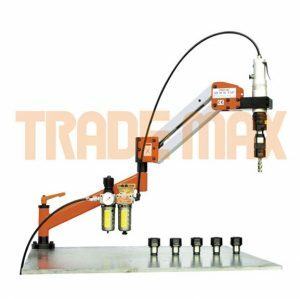 Set the torque of the safety clutch, insert your spiral flute tap into the adaptor, attache the adaptor to your TradeMax tapping machine and your ready to tap your material. When the tap has reached the depth set by the safety clutch the tap will stop and the adaptor will spin in the safety clutch. The safety clutch is designed to help prevent damage to the tapping machine, the tap and the material you are tapping. 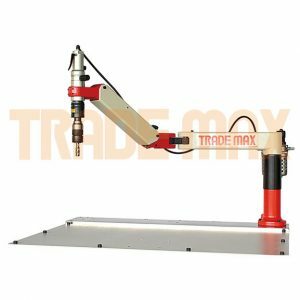 The TCS2B allows you to use taps sizes M6 right up to M30 and is dependent on the model of TradeMax tapping machine you are using. When ordering your TCS2B Adaptor you need to specify the shank Diameter and the Square at the end of the shank (Dia Ø × Square) of the taps you will be using. A complete chart of available adaptors which fit each tap size can be found on our Adaptor (Shank Dimensions) page (opens in a new page). 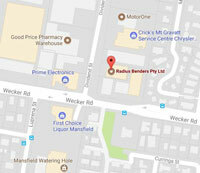 Customers requiring assistance can contact the staff at Radius Benders for further information.